I have had the privilege of sharing incredible moments with Social Circus artists from different parts of the world. Young people who are finding ways to heal themselves and connect with their true selves by exploring their talents. We decided to give 30% of the profits from sales of Will You Dare? 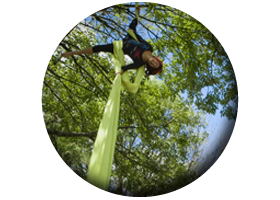 and related services to the Social Circus network, in line with Creative Society Group’s triple-bottom-line philosophy. For us, this is not a donation but an investment, as Social Circus is invaluable to society. We do so to honour them and humbly contribute to this cause.